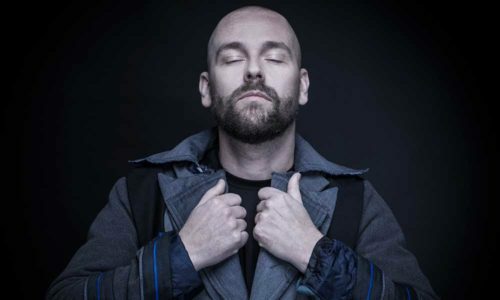 Superstar Dutch DJ and producer Sander Kleinenberg has built his international reputation on an ability to create different atmospheres, for myriad crowds, at venues all over the world. Sander Kleinenberg is not only an artist who declines to stick to a single, easily defined sound, he also utilizes more than one medium to create a night out. Long at the forefront of integrating video imagery and other visuals in his DVJ sets, Sander includes Pioneer among his sponsors for these innovative performances. The manufacturer has been involved with outfitting select clubs around the world with the SVM-1000 audio-visual mixer (which Kleinenberg helped develop), DVJ players, plasma televisions, and other custom video installations exclusively for his performances. Across 5K you not only get a true account of all the sounds that are currently exciting Sander, but you get all the experience and wisdom that a 20-year DJ career has brought, This really Is Sander Kleinenberg. Starting with a nod towards his first love of De La Soul, Jungle Brothers and A Tribe Called Quest, ‘This Love’ featuring Ace Reign opens the album in style with a high-energy rap of the highest quality. Flowing smoothly into ‘Remember When’ (the Jamie Cullem single) and then into ‘Follow Me’, Sander quickly sets his stool out that this is not an album consisting of 10 instrumental dancefloor bangers, in fact, despite it’s very danceable sound it’s quite the opposite, packed full of character and radio-appeal. Another point worth noting is the flow that Sander Kleinenberg achieved on 5K, deliberately choosing not to use gaps between each track, the album (although not seamlessly beat matched) builds in a way not too dissimilar to a DJ set. With the opening three tracks sucking you in, Sander then drops ‘The Healer’ – a straight up four to the floor banger – into ‘The Journey’ featuring Kraak & Smaak and Ursula Rucker – a classic Moroder-like analogue-synth journey – and then the huge summer club anthem ‘M.A.N.I.A.C.’ – the biggest dancefloor-focused track on the album. ‘Chemically’ featuring Ryan Starr is strongly influenced by The Prodigy, with rave breaks providing the backdrop to Ryan’s perfectly suited vocals – a real standout on the album. With the brilliant Nathan ‘Flutebox’ Lee, providing his services for an almost dubstep reprise with ‘This Love’, the album then draws to a close with ‘Wish I Said’ featuring Miss Montreal – a deeply personally song dedicated to Sander’s mother and all the things he wanted to say to her before she passed away. It’s an emotional end to a very personal album. An album that’s been developed and worked on for a lot longer than most, we only hope that the follow up is not too far in the future. You already knew Sander Kleinenberg the DJ, you now know Sander Kleinenberg the artist.